I have diverse research foci. In general, my work unites theory and methods from biogeography, community ecology, and vertebrate paleontology and paleoecology to understand the assembly and disassembly of mammal communities, the functional ecology of individual species, and patterns of evolution and extinction across geologic time in relation to paleo- climatic and environmental change. Much of this work has focused on the late Cenozoic fossil record of eastern Africa encompassing the early phases of human evolution. Our planet has teemed with life for nearly four billion years, though the distribution and diversity of organisms in ecological communities has always greatly varied through both space and time. In light of these patterns, there has been considerable interest among neo- and paleo- ecologists in discovering the underlying drivers of spatiotemporal turnover in community composition and diversity. 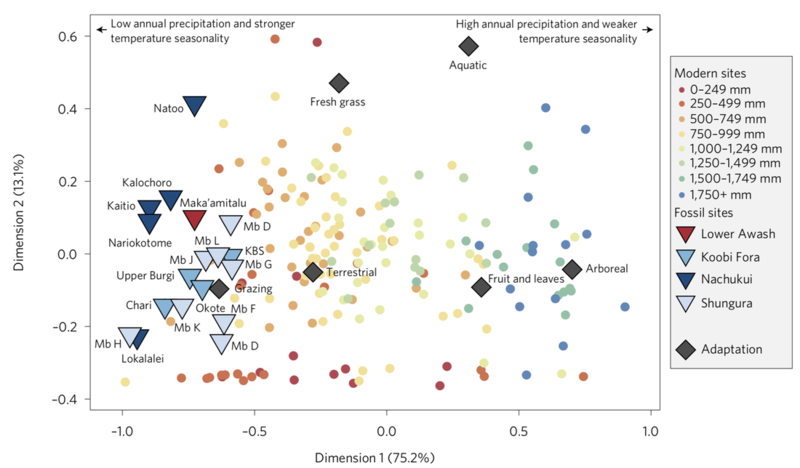 Previous work has often heavily emphasized either abiotic (e.g., climatic gradients) or biotic (e.g., competition) influences, though both likely act in tandem to co-determine community structure. My research combines analyses of present-day and fossil mammal communities to understand the strength of physical environmental change versus species interactions in driving macro- ecological and evolutionary turnover through space and time. It is widely acknowledged that modern humans (Homo sapiens) played a major role in large mammal extinctions over the last 50,000 years and continue to drive biodiversity loss today. The temporal depth of anthropogenic impacts beyond the late Quaternary, however, is poorly understood. Hominins have been integrated components of mammal communities in eastern Africa for nearly seven million years and it follows that changes in their biology and technology may have fundamentally shaped biodiversity in this region long before the appearance of our species. I collaborate in a number of projects analyzing the ecological impacts of early hominins, including their position in paleo-food webs and potential role in driving Plio-Pleistocene mammal extinctions. The decline and disappearance of the world’s remaining large-bodied mammals is likely to be a hallmark of Earth’s sixth mass extinction, but considerable uncertainty revolves around the long-term ecological consequences of these losses. 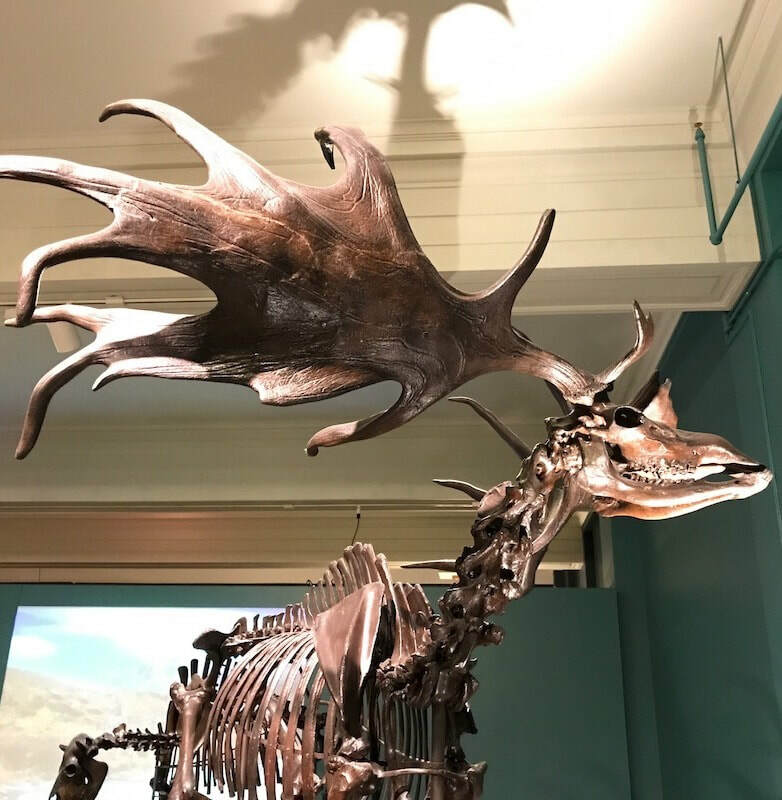 Records of past extinctions, particularly those of the late Quaternary, provide insights into the downstream impacts of large mammal loss (e.g., trophic cascades, altered fire regimes) and inform conservation efforts aimed at mitigating their effects. To this end, I work with colleagues from Aarhus University (Denmark), the University of Sussex (England), and the University of Technology Sydney (Australia) to study changes in the functional structure of large mammal communities over the last 50,000 years. This includes the potential role of introduced (rewilded) species, such as feral horses in North America, in fulfilling niches and ecosystem services vacated by Quaternary extinctions. My taxonomic, systematic, and paleobiological interests lie in the fossil record of African artiodactyls, such as camels, antelopes, and giraffes. Artiodactyls are the cornerstone of African large mammal communities today – they are the most diverse and abundant herbivores, making them the primary liaison between primary productivity and higher trophic levels. 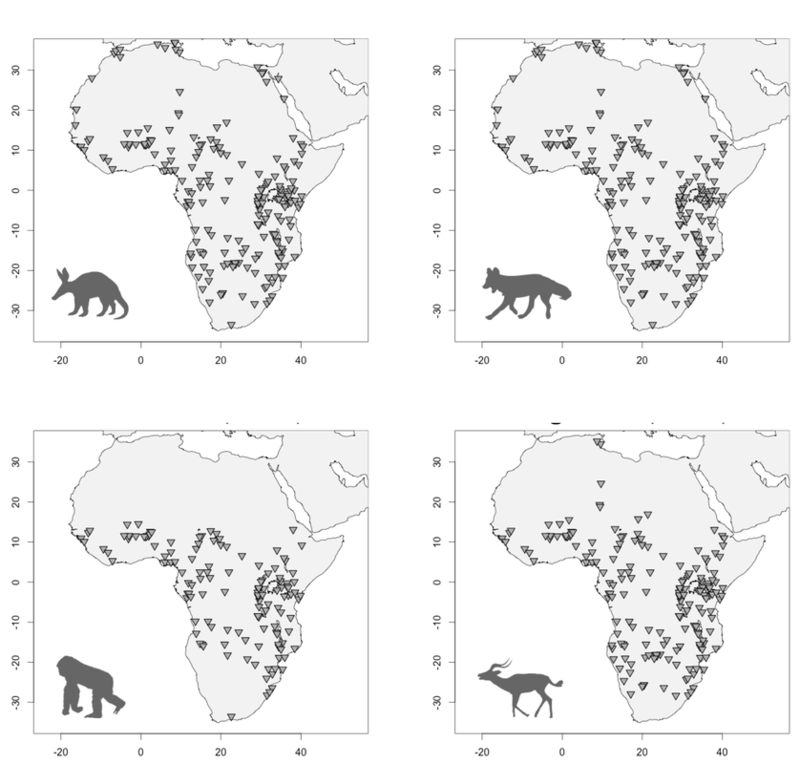 Documenting their past diversity is thus critical to understanding the broader evolution of African mammal communities and ecosystems through time.